Pic(k) of the Week: 'Craft' beer spies of 1982? In the topsy-turvy evolution of 21st century American English, the word "literally" has come to literally mean "figuratively." Such as, I literally jumped clear out of my comfortable chair when I first saw this. The Americans is an American cable-television Russian spy drama, set in northern Virginia, a suburb of Washington, D.C. during the early 1980s. The protagonists (antagonists?) are Philip and Elizabeth Jennings, a married couple who are, in reality, two Russian KGB 'sleeper' spies. In the second episode of the series' third season (aired in 2015), the two, in disguise, enter a northern Virginia bar. Philip asks the waitress what beers are being served that evening. 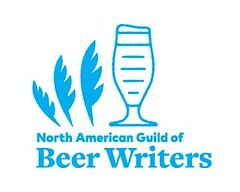 And, it's a fascinating roster of beers that she recites. "What beer do you have?" "Bud, Bud Light, Coors, Coors Light, Miller, Miller Lite, Natty Light, Michelob Light, Sierra Nevada, PBR, Rolling Rock, Stevens Point, Yuengling, Lord Chesterfield, Genesee Cream, Schaefer, New Albion, [inaudible; Harp? ], and Guinness." The problem is that that beer list is historically inaccurate. Sierra Nevada Brewing, in Chico, California, had only begun brewing in 1980. In 1982, it was nowhere near the 'craft' behemoth it has since become. In 1982, it was not shipping its beers to the East Coast. Stevens Point Brewery began operations in Wisconsin in the 1850s under a different name. Always a regional brewery, its beer would not be shipped outside of that base area until the early 1990s. Coors Brewing Company's insistence on refrigerated cross-country delivery of its non-pasteurized (but highly filtered) beers had given it cult status for many years. In 1982, its beers were not yet available on the East Coast. Most surprising of all was the inclusion of a beer from New Albion Brewing. 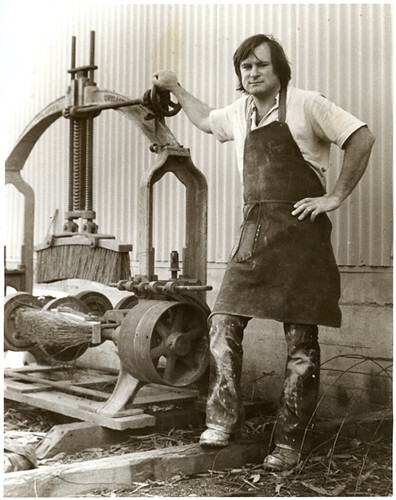 Jack McAuliffe, an ex-Navy serviceman, opened New Albion in Sonoma, California, on 8 October 1976. New Albion was the first 'craft' brewery to operate in the United States since the repeal of Prohibition. (Back in the 1970s, such things were called simply 'breweries,' unencumbered by later over-fraught labels such as 'craft' or microbrewery.) McAulifffe operated New Albion until 1982 (the year in which the episode of The Americans is set), when he shut it down, struggling to sell enough to make a profit. But by then, his legacy was secure. 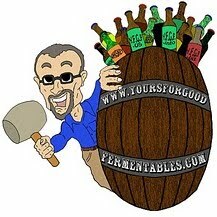 The American 'craft' brewery movement had begun. Producing only small amounts, New Albion never exported its beers to the East Coast. 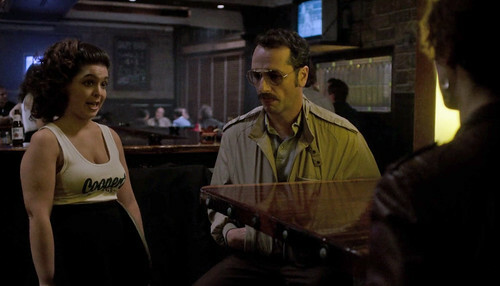 The brewery's mention in this scene of The Americans shows a scriptwriter unexpectedly —if historically inaccurate— giving homage to forty years of American beer history. Which is why I 'literally' jumped out of my chair. Screenshot from The Americans, produced by the FX Network, Season 3, Episode 2 (2015). Pictured: Philip Jennings (played by actor Matthew Rhys), waitress Jenny (played by Allyson Morgan), Elizabeth Jennings (back to camera, played by Keri Russell). Read more about Jack McAuliffe and New Albion Brewing in this article by Tom Acitelli, at All About Beer. Renée M. DeLuca is Jack McAuliffe's duaghter. She is reviving the New Albion brand. Read more at her blog, The Brewer's Daughter. In 2013, Jim Koch and the Boston Beer Company revived Jack’s flagship brew, New Albion Ale, the first American Pale Ale. We are now brewing New Albion Ale with Platform Beer Company in Cleveland, Ohio! Pic(k) of the Week: one in a weekly series of photos, usually posted on Saturdays, and often, but not always, with a good fermentable as the subject. A Brown October Ale? Yes, please. Vote like you give a sh*t.